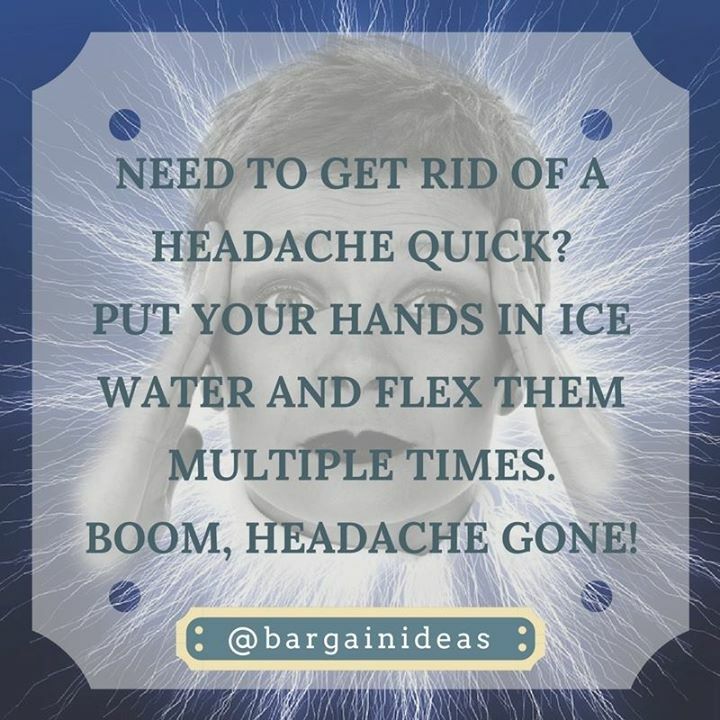 NEED TO GET RID OF A HEADACHE QUICK? PUT YOUR HANDS ON ICE W - ProudMummy.com the Web's Community for Mums. NEED TO GET RID OF A HEADACHE QUICK? PUT YOUR HANDS ON ICE WATER AND FLEX THEM MULTIPLE TIMES. BOOM, HEADACHE GONE!